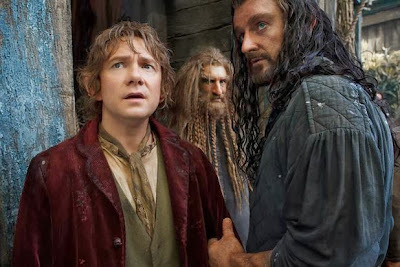 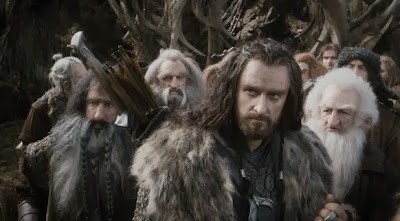 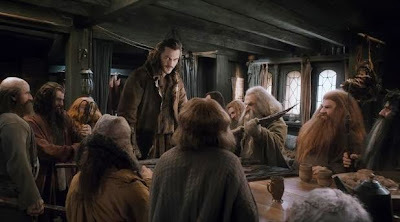 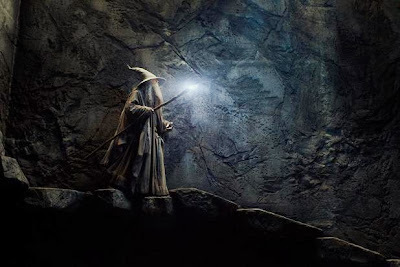 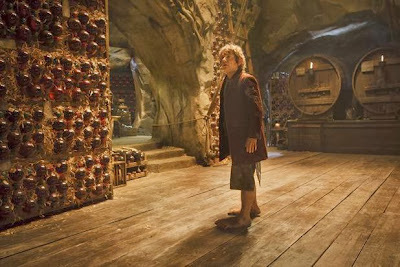 [Source: blastr.com] The new images from Peter Jackson’s upcoming second installment in his Hobbit trilogy feature the return of our brave little hobbit Bilbo Baggins (Martin Freeman), the company of dwarves’ fearless leader Thorin Oakenshield (Richard Armitage), Gandalf the Grey (Sir Ian McKellen), Radagast the Brown (Sylvester McCoy) and one of Desolation of Smaug's new characters, Bard the Bowman (Luke Evans). 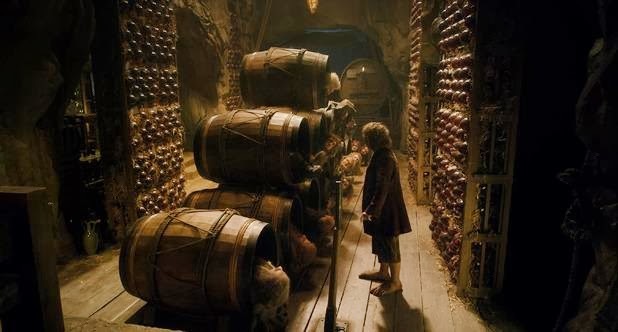 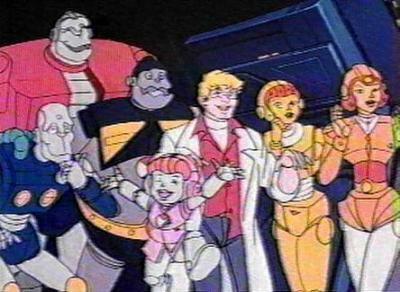 We also get a sort of cool little sneak peek at the moment just prior the iconic escape-in-a-barrel scene we’ve already glimpsed in plenty of trailers already. Following last year’s An Unexpected Journey, The Desolation of Smaug sees Bilbo seeking to recover the dwarves’ gold beneath Erebor (aka the Lonely Mountain) from that pesky dragon Smaug (voiced and mocapped by Benedict Cumberbatch). Lee Pace, Orlando Bloom and Evangeline Lilly also star, respectively as the Elvenking of Mirkwood forest Thranduil, his son Legolas and new elf character Tauriel. The Hobbit: The Desolation of Smaug opens in theaters on Dec. 13, 2013.